Comfort Inn Haven Marina welcomes you with a familiar face and a friendly smile. 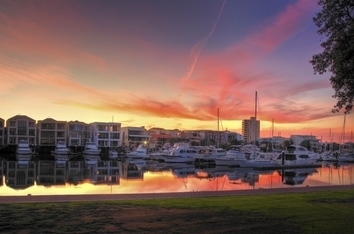 We are a 69 room property, conveniently located in the Glenelg Beachside precinct of Adelaide overlooking the Holdfast Shores Marina. 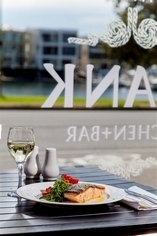 Comfort Inn Haven Marina is privately owned we are well known for our personalised service and recognition of our regular guests in a manner often lost in the larger Hotel Chains of today. 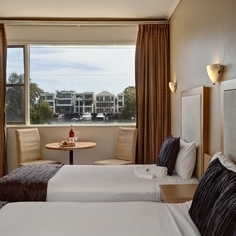 Comfort Inn Haven Marina is just a 5 minute walk to Glenelgs Jetty Road and entertainment precinct where you can find a huge range of shopping, dining and nightlife. Take advantage of the Tram leaving Jetty Road traveling into the Adelaide City & Entertainment Centre and back every 20 minutes, a great hassle free way to visit sporting events at the Adelaide Oval. 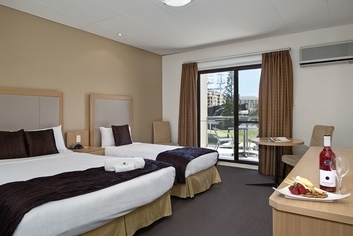 Comfort Inn Haven Marina is only a 10 minute drive to the airport and a 20 minute drive to the Adelaide City Centre and the beautiful Glenelg beach is only a 2 minute stroll away. 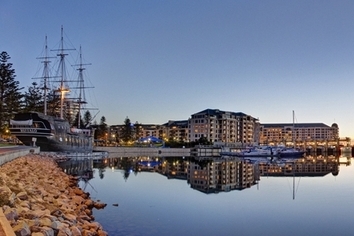 Catering to both the Corporate and Leisure markets we offer a range of accommodation types here at Comfort Inn Haven Marina, from our Standard Hotel, Marina View, Balcony and Family Rooms, not to mention we are one of the few properties in Adelaide that offer a select and designated amount of Pet Friendly Rooms, please contact the property direct for booking Pet Friendly Rooms. 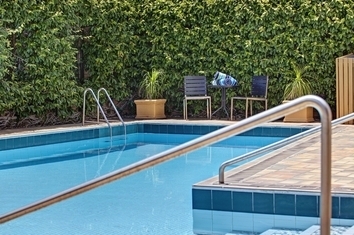 All rooms at Comfort Inn Haven Marina have Foxtel including movies and sports channels, Free Wifi, tea and coffee making facilities, guest laundry on site, and complimentary on-site parking and onsite outdoor pool. 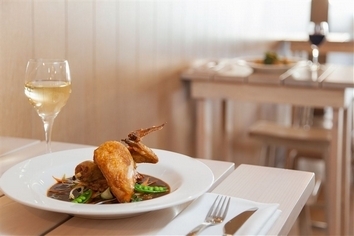 Our in-house Restaurant Plank Kitchen & Bar opens out onto the deck overlooking the Holdfast Shores Marina and offers a quality Modern Australian Cuisine, with an extensive Wine List including South Australian wines and great service ensuring a memorable dining experience. 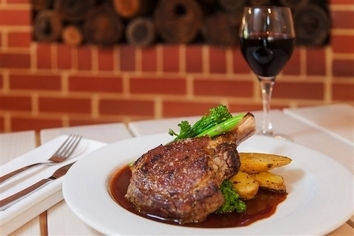 Open for Breakfast, Lunch and Dinner from 6am until 9pm. 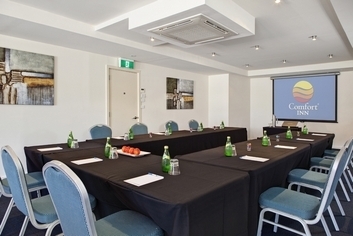 Comfort Inn Haven Marina is also well known for its Conference and Function rooms, with 5 function rooms available, ranging from boardroom style to our magnificent Waterfront room overlooking the Marina and with catering for up to 180 guests. 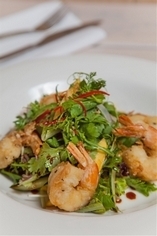 Whether a board meeting, conference, birthday, engagement, wedding or any other special event, we have you covered. Comfort Inn Haven Marina, personal, friendly serviceYour Place to Stay at the Bay! 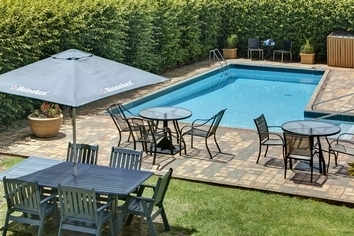 Room over looking the marina -FREE Car Parking & FOXTEL MOVIE Channels, Outdoor Pool & Cafe! Just 5 minutes walk to the Beach & Jetty Road Shops, Bars, Cafes & Local Attractions. 10mins to airport, 20 mins to CBD. 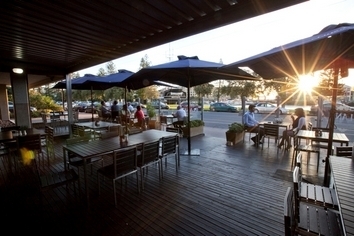 FREE Car Parking & FOXTEL MOVIE Channels, Outdoor Pool & Cafe! 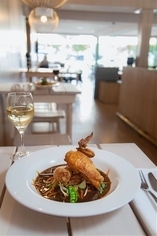 Just 5 minutes walk to the Beach & Jetty Road Shops, Bars, Cafes & Local Attractions. 10mins to airport, 20 mins to CBD. 5 private conference rooms are available to hire for functions, corporate conferences and special events of every size. Conference areas are available for hire and include OHP, Flipcharts, VHS Monitor, DVD player & Whiteboard. Reception Hours are 600am - 1100pm Daily. Please contact the motel direct for any queries. A Credit Card imprint or Cash Deposit will be required on check in. Rates quoted are for 2 guests unless otherwise stated. Extra person charge (over 15 years) is $30. Standard and Corporate rooms have 1 queen bed only. Some twin rooms are available, however these are subject to availability. Please contact the motel direct to request twin rooms or extra bedding. Rates included FREE off street parking for 1 car. Self-driving Turn right onto Adelphi Tce at last set of traffic lights on Anzac Hwy, Comfort Inn Haven Marina is situated 100 metres on the right, opposite The 'Buffalo Boat'. 5 minutes walk to white sandy swimming beach, shops, cafes, restaurants, nightlife, cinema. Visit 'The Beachhouse', Rodney Fox's Shark Museum, The Bay Discovery Centre, walk the Proclamation Trail, visit the Historic Old Gum Tree, swim with dolphins from Temptation Saling's big catamaran, take a tram ride into Adelaide, go bargain shoppping at Harbourtown... So much and more!